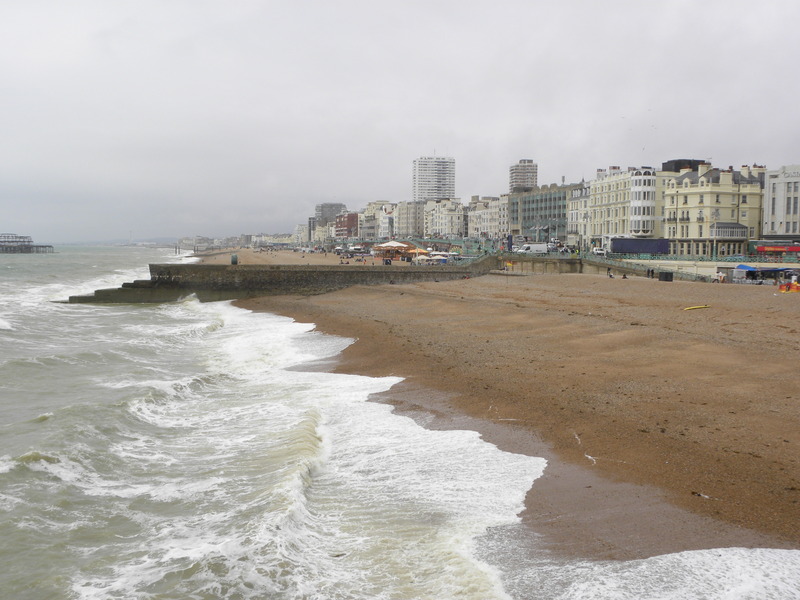 When planning my escape to Brighton I had hoped for sunshine and nice weather but instead I got chilly winds hmph…. However, I wouldn’t let a little bad weather get in the way of my big adventure so I carried on like a trooper and had a fabulous time. 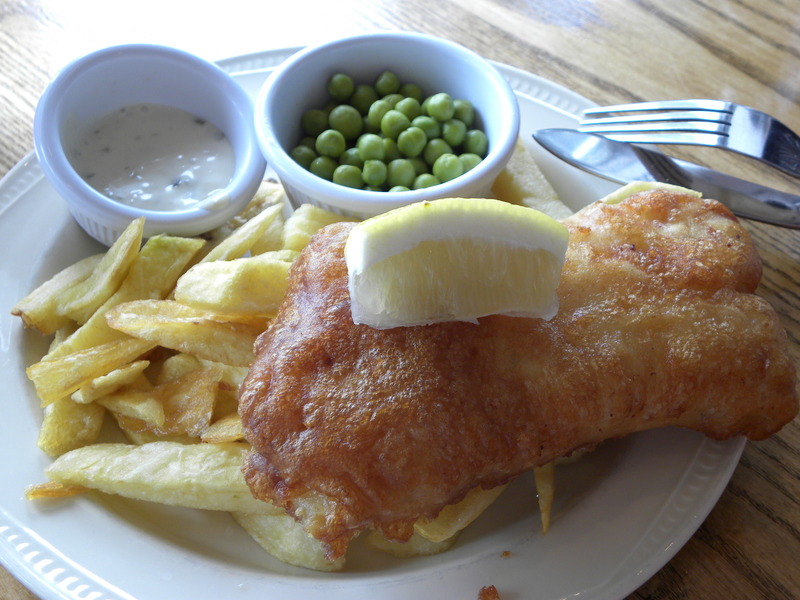 For lunch I went full on British and indulged in some of “the best fish ‘n’ chips in Brighton” from the Palm Court restaurant on Brighton Pier before heading on towards the entertainment and rides offered a bit further down on the Pier. 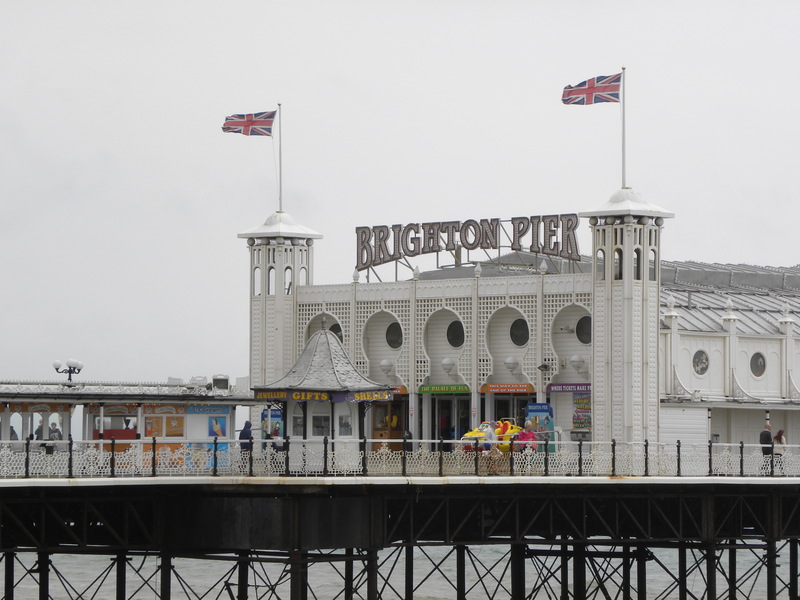 I imagined Brighton to be a relatively small, picturesque beach front town but instead I experienced it as any other modern town filled with a mix of unique beautiful little shops and then the typical unattractive tourist shops and fast food chains. There was even a version of the London Eye! 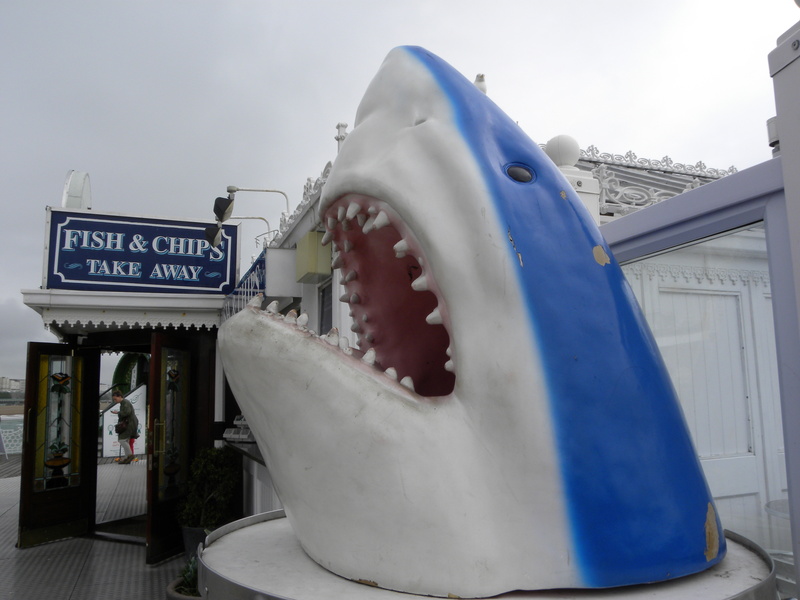 Whilst on the Brighton Pier I got a total déjà vu of the first time that I visited Santa Monica Pier in California. Piers can be so much fun and it certainly doesn’t hurt that the view tends to be great. 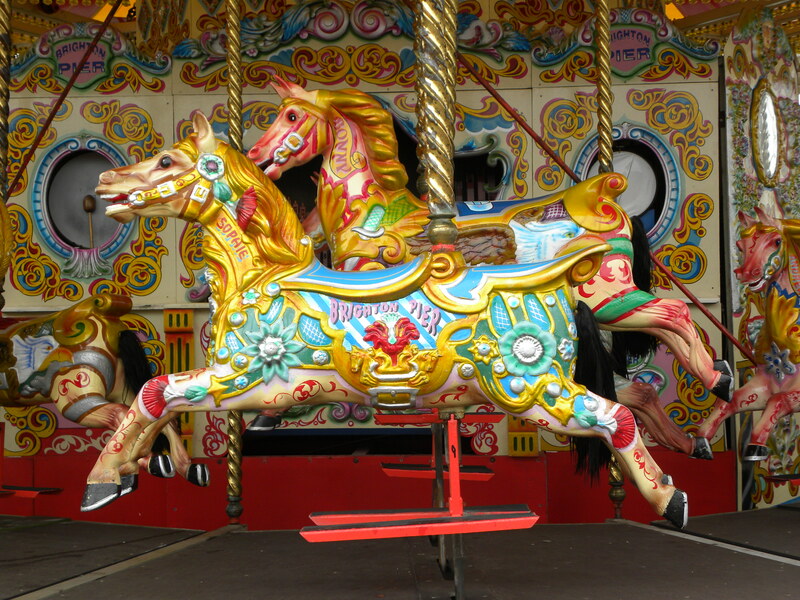 Yee-haw, my all time favorite fair ground ride is without a doubt the merry go round. Cheesy maybe but undoubtedly a classic! What’s yours? 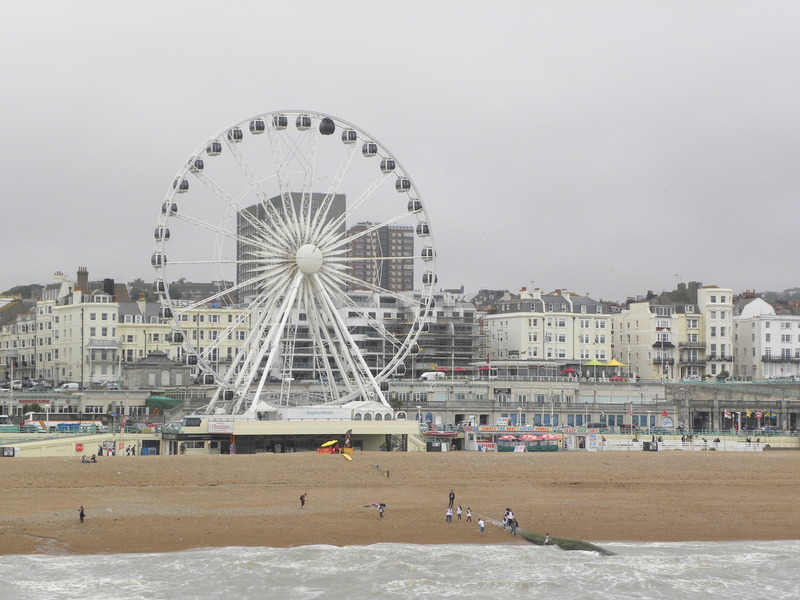 This entry was posted in Culture, Life style, Travel and tagged Adventure, Brighton, Brighton Ferris Wheel, Brighton Pier, Culture, Fish 'n' Chips, Food, Life style, Palm Court, Palm Court Restaurant, The Best Fish 'n' Chips in Brighton, Travel by linneabylinneanilsson. Bookmark the permalink. I love piers too! Did you bring Poiret as your travel companion? What did you wear, your beautiful hats and dresses?